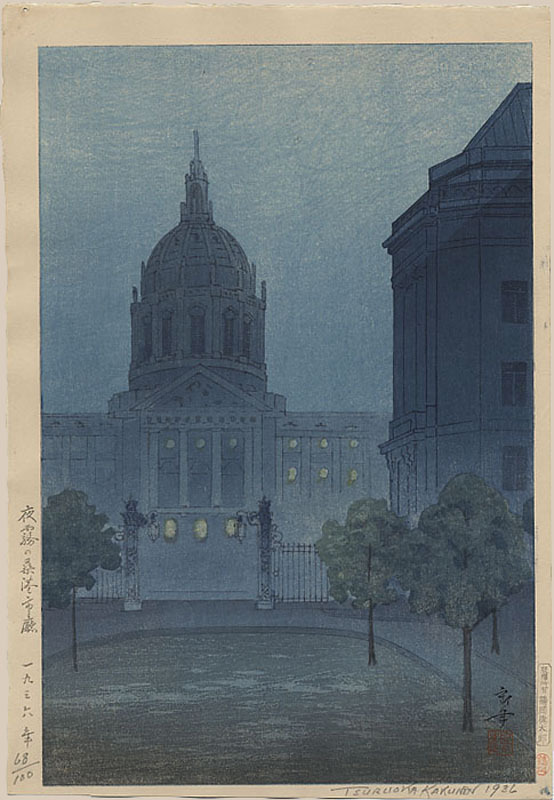 Kakunen, Tsukuoka (1892 - 1977), "Night Mist Over San Francisco City Hall"
Notes: Numbered, signed and dated in pencil by the artist. Kakunen seal and signature in block, lower right. Chop of Master Printer Ono Gintaro in right margin.